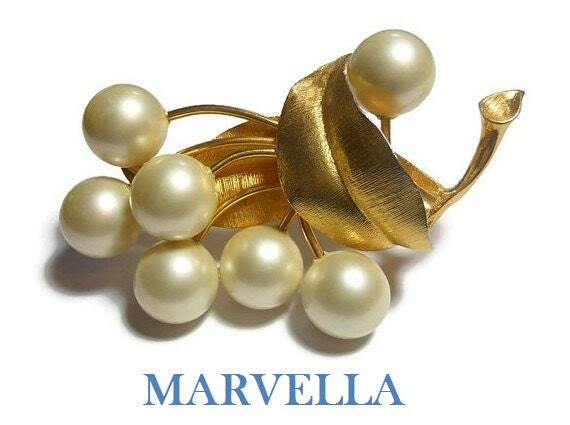 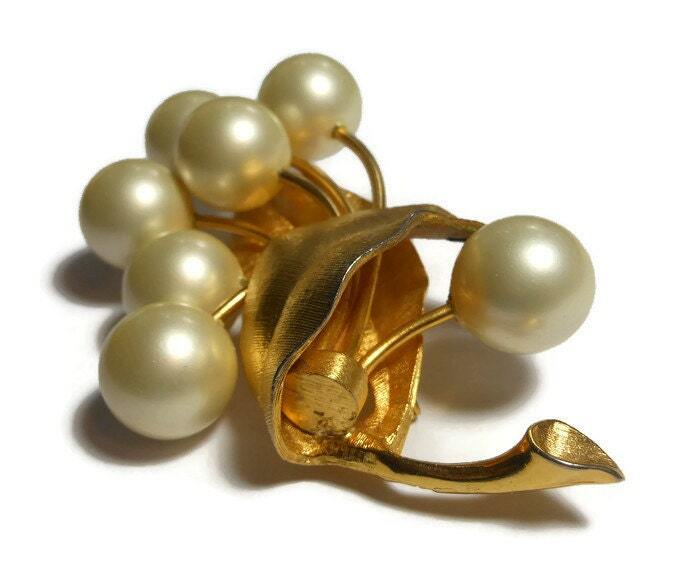 Marvella pearl brooch, creamy white faux pearls form the flowers of this bouquet on a gold stem with gold textured leaves, large floral pin. 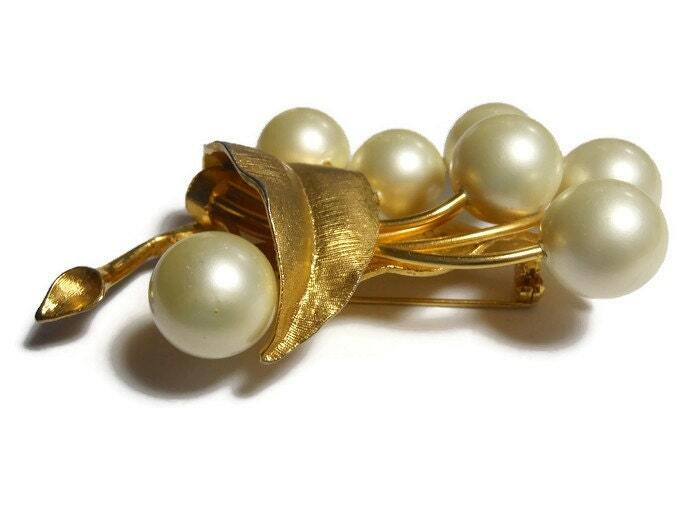 Perfect for a bride! 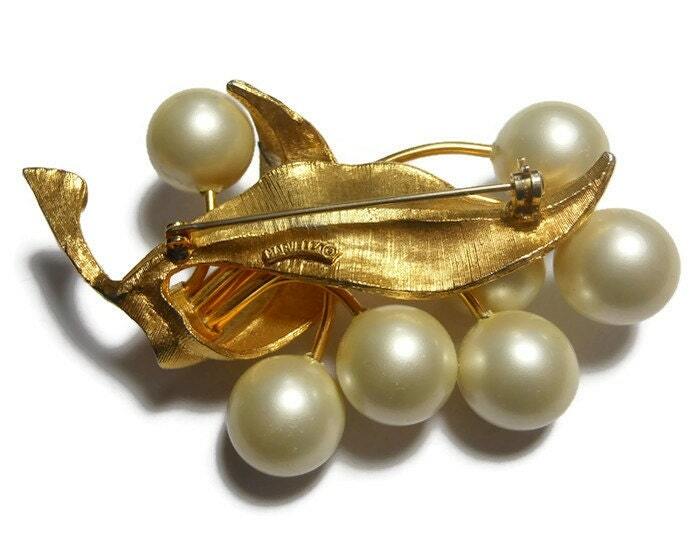 Measuring 3" (7.6 cm) X 2" (5.1 cm), it is in very good vintage condition. 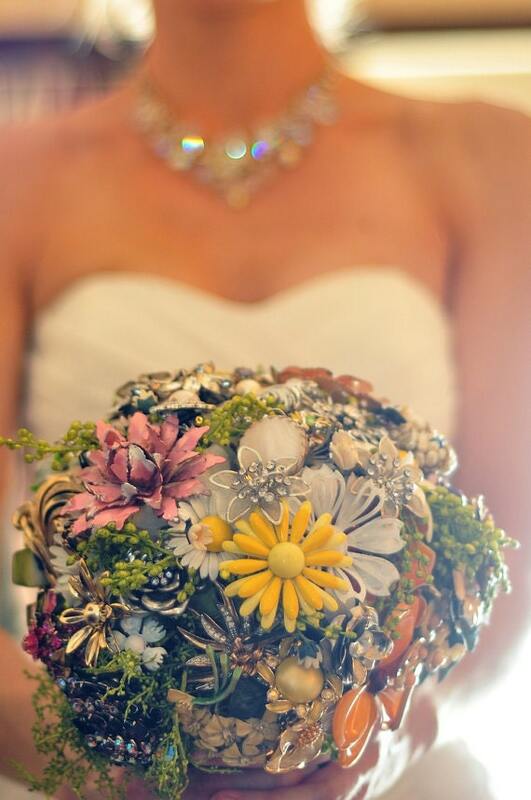 See last photo for an example of a brooch wedding bouquet.